Huawei just launched their latest flagship phones called the Huawei P30 and P30 Pro. These Android devices are the manufacturer’s third iteration of the P-series lineup. The P10 and P20 have become one of the most popular products from Huawei and the P30 is no different. The P30 claims to have the best camera yet; even marketed as a photography phone for professionals. It competes with the Samsung Galaxy S10 or S10 Plus cameras and also beat them in some categories; especially with the 10x zoom feature. That’s not all. The reputed Chinese smartphone giant has integrated some top of the line hardware and software specifications to their flagships. The Huawei P30 series feature a minimum of 6 GB or RAM that can go up to 8 GB. Storage ranges from 64 GB up to 256 GB. The P30 series also feature Huawei’s very own HiSilicon Kirin 980 (7 nm) chipset and Mali-G76 MP10 GPU. 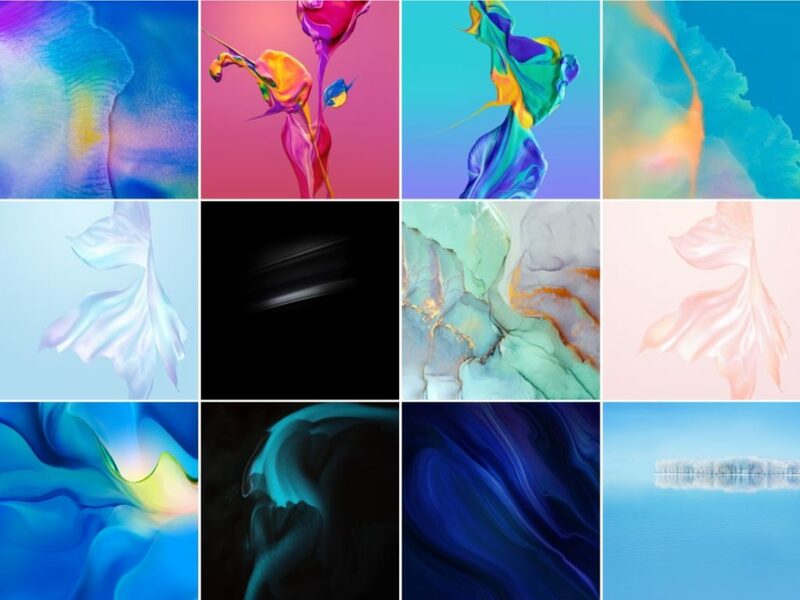 Here, we have the new official stock wallpapers from the Huawei P30 series phones launched a couple of days ago. These are some high resolution images and you can choose individual images as well if you don’t want to download the whole bunch of it. Here are a total of 12 wallpapers. We will soon list the official stock ringtones too. So stay tuned. Here are the first impressions from MKBHD. The official wallpapers are here for downloads in full resolution. Here are the official wallpapers from the Huawei P30 and P30 Pro in high resolution and good quality. Most importantly, the download link is a Google Photos link so its is quite easy to save and set even an individual image as wallpaper without downloading it all. If you need more such stock wallpapers, we have linked it below. The below image is just a sample. The download link is listed below. Note: The link is from Google Photos. Select the images you wish to download. Click on the 3 vertical dots on the top right and select download. It will download the images in full resolution.